You may not realize it but a youthful profile consists of nice plump cheeks. As you age, this is one of the first areas that lose volume and the skin on the cheeks start to sag. 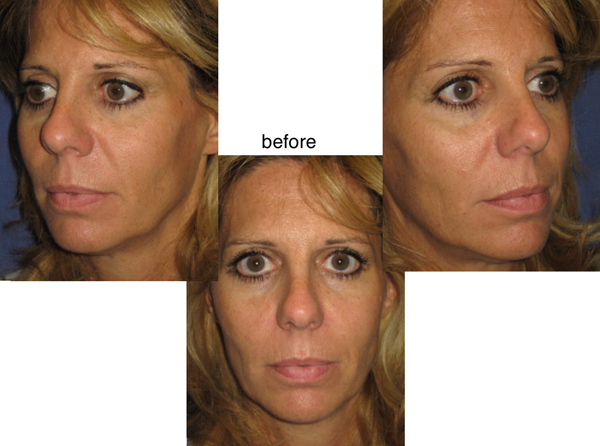 With Voluma-R Lift©, Dr. Lisa Bunin can instantly add volume to cheek area to correct age-related volume loss. It can provide you contour and a subtle lift for up to two years with optimal treatment. With natural aging, gravity takes its toll, and the facial tissues descend downward, leading to jowls, deep lines around the nose, mouth, and chin. Also, facial volume decreases as the fat pads in the face and cheeks not only fall but diminish in size as well. A second bag forms under the eyes, a diagonal line; a depression forms from the inner corner of the eye towards the ear; and a flattening of the cheeks occurs. Surgery used to be the only answer, but even a surgical facelift can’t solve the complete problem because the face still has hollow areas where the fat has diminished. Surgery can’t replace the volume that gives faces a youthful look. Dr. Bunin has worked with a specialist at Bioform Medical to create the Voluma-R Lift©, a non-surgical mid face lift that uses the filler Radiesse® to restore volume to the mid face and reverse natural gravity changes. The procedure is performed in the office using local anesthesia and provides instant, natural looking results without any down time. There may be temporary bruising typical for any injection that can be covered with makeup. However, unlike surgery, there are no telltale scars. 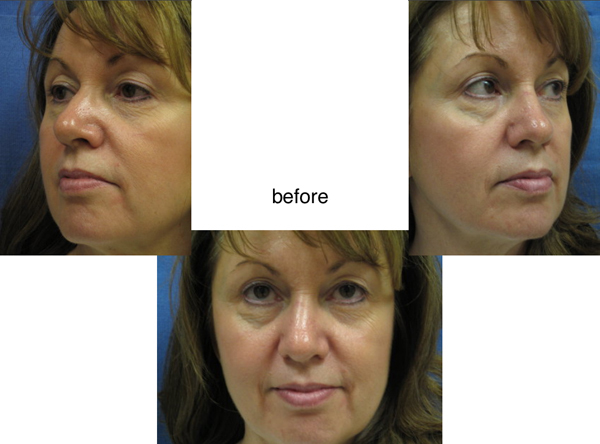 No matter how much gravity has affected a face, the Voluma-R Lift© can make patients look years younger. Also, because the procedure is non-invasive other procedures can be performed immediately before or after depending on the patient’s goals. All of these treatments are safe and effective when done properly. Dr. Bunin has renowned expertise in this procedure and teaches other physicians worldwide. She can help all patients look and feel their best, safely, gently, and artistically.